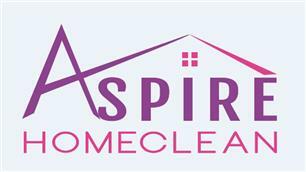 Aspire Homeclean - Cleaning Services based in Ferndown, Dorset. Aspire Homeclean has been providing domestic cleaning services in the Bournemouth, Poole, Ferndown area for over 3 years. We understand you have very exacting standards and it's why we have designed a cleaning service which prioritises quality, reliability and value. Our teams are made up of trained, experienced, full time professional cleaners: totally reliable and fully insured. They are supplied with the latest cleaning equipment and professional cleaning products and follow our step-by-step Tri-Colour System which ensures a perfect hygienic clean, each and every time! Cameron and Christina own and run Aspire Homeclean which covers Bournemouth, Poole, Ferndown, Wimborne, Christchurch and Ringwood and all the neighbourhoods in-between. They would be delighted to arrange a home visit to discuss your needs and offer a no obligation personalised quotation. Whether it is a "one off" or a regular clean Aspire Homeclean is on hand to provide a professional service. Trust: A company you can trust. Security: you don't want just anyone in your property : all Aspire Homeclean staff are employees who are fully insured and have been through our strict vetting and selection process. Customer Service : we tailor our cleaning plan and schedule to your own individual needs, supply all equipment and materials, and try to ensure that you always have the same cleaning team, so there's nothing at all for you to worry about. Qualified Staff : all Aspire Homeclean staff have completed our comprehensive training programme and we have an experienced supervisor on every job. Results with value : we specialise only in residential cleaning, so you receive outstanding service at competitive rates. Guaranteed Service : if for any reason you are not completely satisfied with the work completed for you. We will rectify the job again FREE of charge.